The Roland MKS-70 is a rackmount version of the biggest JX-synth, the JX-10. 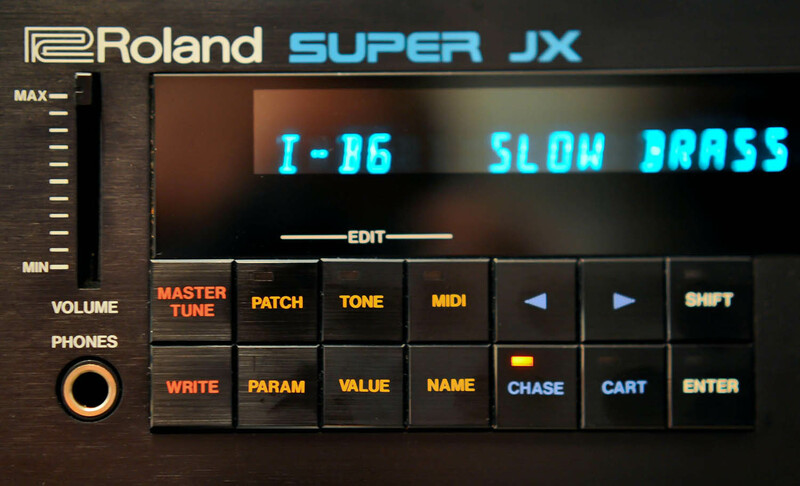 It has the synth engine of two JX-8Ps and has the best MIDI implementation of them all. 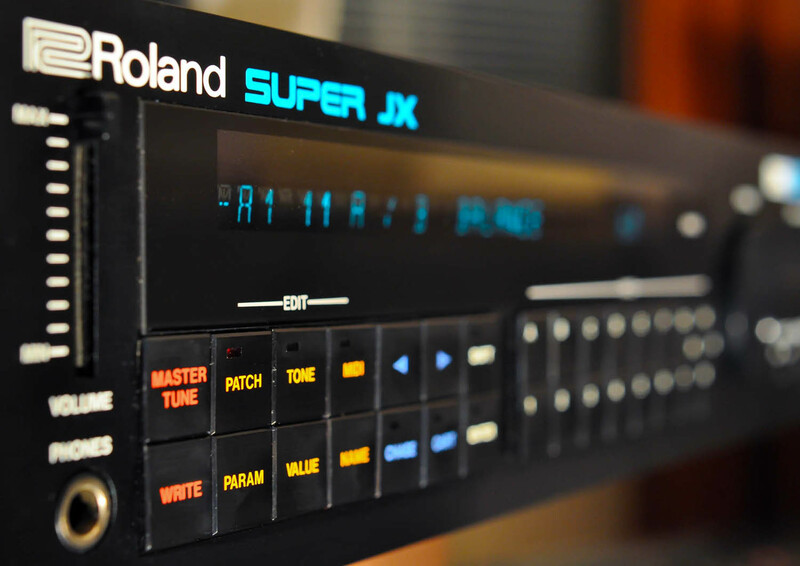 The Super JX was the last analogue synth made by Roland in the 80's. I bought it to replace my JX-8P as it takes less space. 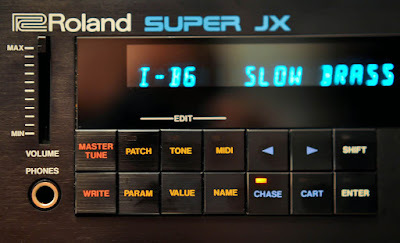 My first impression of the Super JX was that it’s actually a bit different from a JX-8P. Although the basic sound is somewhat the same, the bi-timbral nature of the patches makes it a bit deeper. So, now a patch is made of two "tones", (same as patches in the older JX-8P). When playing these single "tones" with the Super JX in whole-mode you can have all the polyphony of 12 notes. Normally you would play the patches that are in dual- or split-modes and the polyphony is then six notes which usually is still enough. All the gorgeous analogue sounds, warm pads and fat brasses are there with that fabulous stereo chorus too. Of course I kept the PG-800 programmer to make things easier because without it I probably wouldn’t have the patience to program this. 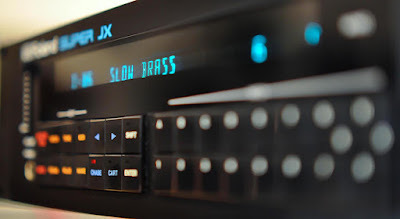 You can read more of my thoughts about the JX-synth in the JX-8P page. I was unhappy with the lost inspiration and sold the synth away. © W.T.Salmela. Awesome Inc. theme. Theme images by fpm. Powered by Blogger.